André Pienaar is an entrepreneur, and managing partner and founder of C5, a specialist technology investment group. Find out more about André here. Andre is a Managing Partner and the Founder of C5, a specialist technology investment group focused on cybersecurity, cloud computing and artificial intelligence with offices in Washington, London, Luxembourg, Munich and Bahrain. Andre serves on the boards of several cybersecurity companies including the IronNet Cybersecurity in Maryland, USA, the Haven Group in Luxembourg, ITC Secure in London and Omada in Copenhagen. 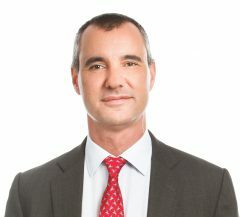 Andre Pienaar started his career at Kroll Inc in 1996 where he became the youngest managing director until the successful sale of the company to Marsh Mclennan. In 2004, Andre went on to found G3, an international consulting firm that advises global companies and international law firms on cybersecurity. In 2011, he sold G3 to Europe’s leading technology investment holding company. Andre advised the 6th Duke of Westminster on the establishment of the new Defence and National Rehabilitation Centre (DNRC) in the United Kingdom as a state of the art centre for the rehabilitation of British military veterans. Alongside his current role at C5, Andre Pienaar is a member of the U.S. Government’s Institute of Peace (USIP) International Advisory Council and a Director of the PeaceTech Lab in Washington DC. André served on the Foreign Policy Leadership Council of the Brookings Institute and on the President’s Council of the International Crisis Group. Andre’s charitable interests includes the National Council on White House History, a U.S. based not for profit that is the custodian of the White House, its art and history, as well as being a Director of the International Centre for Missing and Exploited Children (ICMEC), a trustee of the David Shepherd Wildlife Foundation, a British charity focused on wildlife conservation and the Global Leadership Council of ONE. Andre is a lawyer and an expert on cyber law and cybercrime.